I found All Time Low at the tail end of 8th grade while doing the Random Profile Jump on PureVolume one afternoon after I’d gotten home from school. The Party Scene and So Wrong, It’s Right got me through high school and every woe that came with being a teenaged girl. Nothing Personal came out just in time to get me to college, where it got me through the changes that came with moving away from home and having to decide what I was going to do with the rest of my life. Their under appreciated Dirty Work was a fun release that coincided with the peak of my college experience, and Don’t Panic came out just a month before I graduated and realized that-- much like singer Alex Gaskarth said about the release-- I had to find what made me special. When Future Hearts came out, I had been in Los Angeles about half a year and felt like I was at the pinnacle of my young adult life. Now, All Time Low and their seventh studio album Last Young Renegade find me at 25 years old, and packing up my apartment so I can move away from the city and figure myself out. Now I know what you’re thinking at this point: “What in the hell is the point of all this?” The point is I have grown alongside All Time Low, and with this release it seems we both find ourselves to finally be grown up. Last Young Renegade is the band’s most mature release to date, both lyrically and musically. The obvious 80’s influences balance out the darker tone of the lyrics as they explore where they are, how they got there and how their experiences-- both good and bad-- have shaped them into who they are now. It’s something new and old fans alike will most likely be able to relate to, and if they can’t they most likely will if they revisit it in a couple of years. It’s hard to choose a favorite amongst the 10-song offering. In fact, if it was possible, we’d just say the entire second half of the album sees five of some of the best songs All Time Low has put out to date. That being said, a personal favorite is the closing track “Afterglow.” It truly shows the range of the entire band with its synthetic 80’s jungle rhythms and Alex’s tone. It’s possibly the best album closer in their catalog, capping off the emotions and feel of the album in one perfect four minute summation. There are some fans who will inevitably try and say that All Time Low “sold out.” Some fans will try to point the fingers at Fueled By Ramen and will say “This is Dirty Work all over again!” It would behoove of any fans that feel this way to sit on this album for a bit and give it more than just one listen before passing judgment. While change can be a bit jarring, it does not always mean a bad thing. 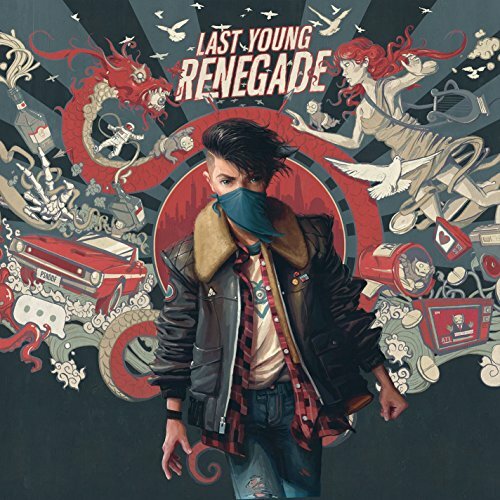 Last Young Renegade seems to find All Time Low to be grown up and for fans like myself who seem to be reaching that same point as well, it is a welcome musical personification for all the mixed emotions that come with it.